Mrs. P, Aunt Flo, Aunt Flo and her cousin Red, Cousin Red, crimson wave, Flow, gets one’s red wings, have the painters in, on the rag, rag, red tide, ride the cotton pony, sally, surf the crimson wave, that time of the month, whatever you call it, it still comes every month and on time (hopefully). Travelling with your period is hard enough,I am going to discuss your options for your next motorcycle adventure. Sanitary Pads are available all around the world. However, do not expect the latest and greatest design, technology or comfort. Usually you will find thick pads without wings, even in the touristy countries. Before you leave home, you should try a long ride or several rides some days in a row, as I find this method very uncomfortable as it causes chafing. If tampons are your thing, you must remember they are not widely available around the world. However, they are popping up in more and more countries. If tampons are your preferred choice I would carry a couple of months supply with you. They are easy to store in a loose bag and will fill up any unconventional space and stop rattles within your pannier bags! Disposing of them is the difficult part. Most toilets around the world are not built for these things and will quickly block up. Wouldn’t it be embarrassing if you were asked by the village what they are! Most toilets have rubbish bins, but if they are not, just come prepared with your own toilet paper and a plastic bag. Then just tuck it into your pocket to be disposed of at a later time. Remember, a lot of people do not know what they are, and sometimes you will have to explain what they are to people who do not even understand English. When I tried to cross the Turkey Syria border, the Syrian police I was told to unpack my panniers and lay it all out on the ground. When the customs guards discovered this bag of white bullet-shaped things, they got very excited and started harassing me about them. Until their general who spoke better English quickly told them to drop them and to move on. With a quick apology, he told me he had been to Germany before and knew girls use them! 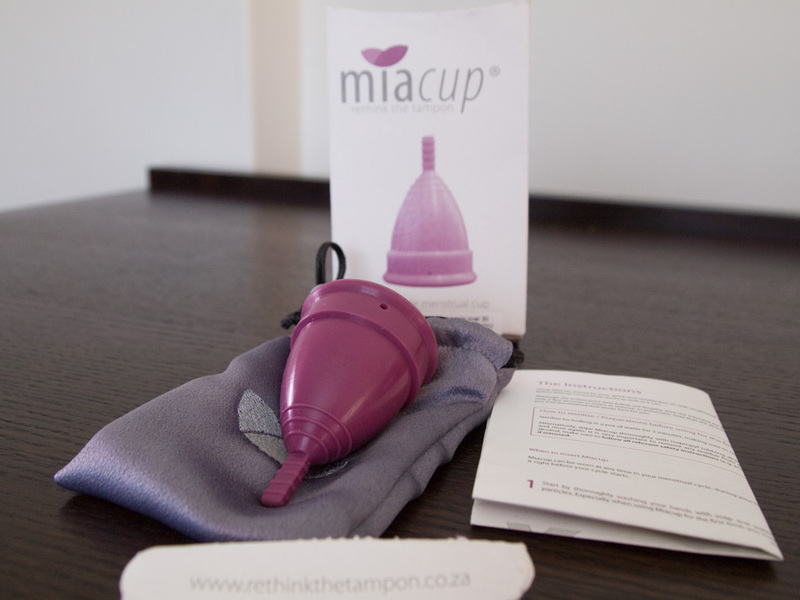 Mia Cup is a reusable latex and silicone free rubber cup that can be installed for up to 3 times longer than normal tampons. 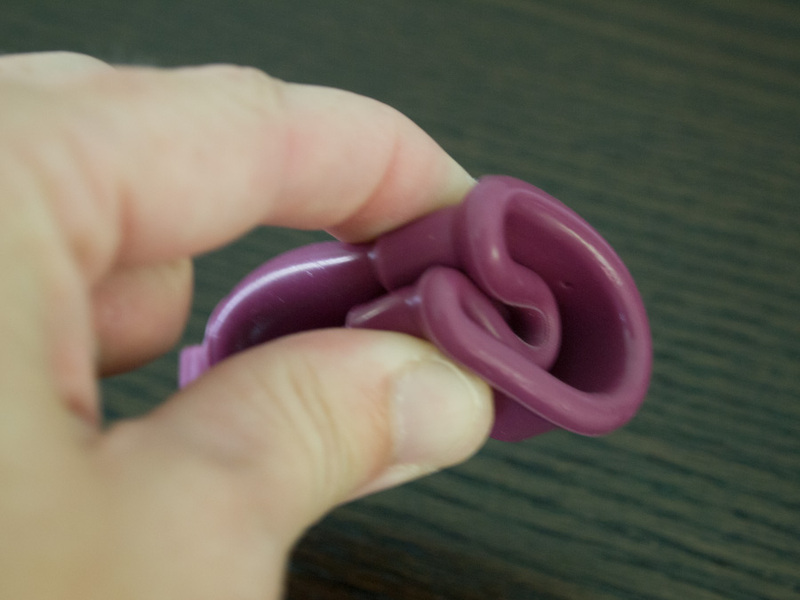 It is insanely easy to sterilize and once you get the hang of it, pretty easy to use. It comes with a nice bag to store it in between those special days! 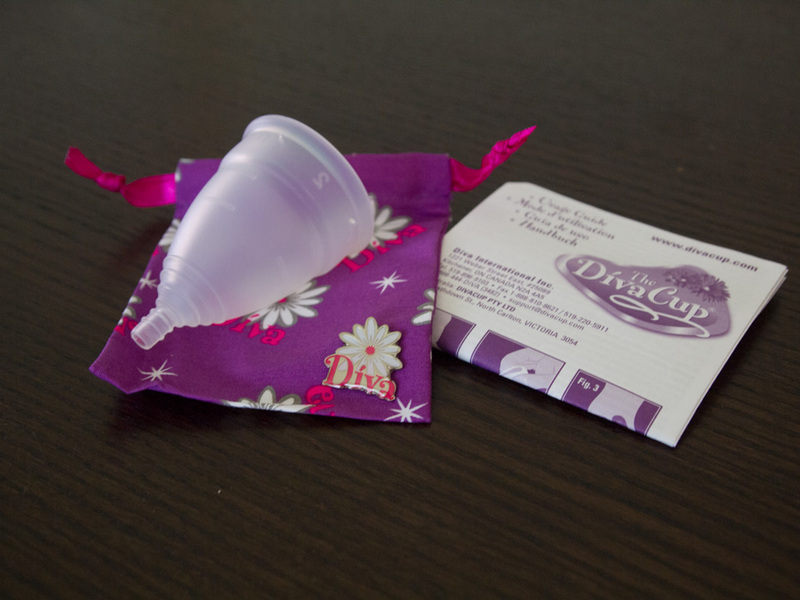 The Diva Cup is also a reusable latex and silicone free rubber cup. It can be installed for up to 12 hours before needing emptying and rinsing. 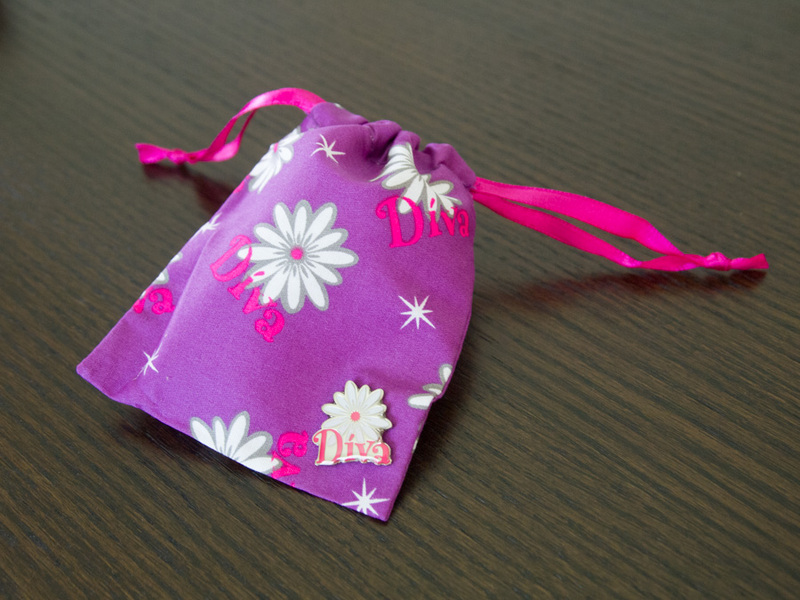 The diva cup only comes in a clear white rubber with a cute cotton bag. It also comes in two sizes, large and small depending on your age and or if you have had children. I am writing my test results up together as I had similar issues. I personally found it difficult to install at first. In the end I had to use KY jelly to help with insertion. I hoped I would get used to it in time as this is not something you can find in every country. Upon removal of the cup, I was really concerned when it felt as if it was scraping my vaginal wall. After a while, this feeling dulled down. I’m not entirely sure what changed, it could have been a combination of getting used to the feeling and/or I learnt how to pinch the cup more on removal. The next step is kinda messy, and not for the faint hearted. Take the cup, tip most of the contents out into the toilet, and then wash it under clean drinking water. Overall, I had no major issues at home. Once you get used to using it and get over the feeling of inserting and removing I would consider it better than using a tampon. By now I had gotten use to inserting and removing the cup, without KY jelly, but now washing the cup became an issue. Most camping ground toilets are unisex and have basins outside the door. I wasn’t sure at first how to take my cup outside to clean, and if someone happened to be using the basin to brush his or her teeth, what would I do then? I am worried about soiling my underpants as I perform this task. All to turn around and re-enter the toilet to re-insert it! Ok, there is one way around this: that is to take a bottle of water into the bathroom with you every time and use it to clean the cup over the toilet. Sometimes I camp wild, or I have to change my cup in some random field just off the road. I personally hated doing this as you have to go through the whole procedure while squatting! And don’t forget your bottle of water! Or you will be calling out for your friend/ boyfriend to bring one to you! After a several months road testing these two sanitary devices, I decided it was much easier to go back to tampons, there is less mess, no hassles about cleaning it and they are not too much trouble to carry in my pannier bags. As I said earlier, if I wasn’t travelling I would have loved to replace tampons with one of these devices. It’s just too complicated while traveling. Which one did I prefer? The Mia Cup had a small hole in the top of the cup to help with anti-suction on removal and a longer tab on the bottom for easier grip (This can also be cut down if you find it too long). 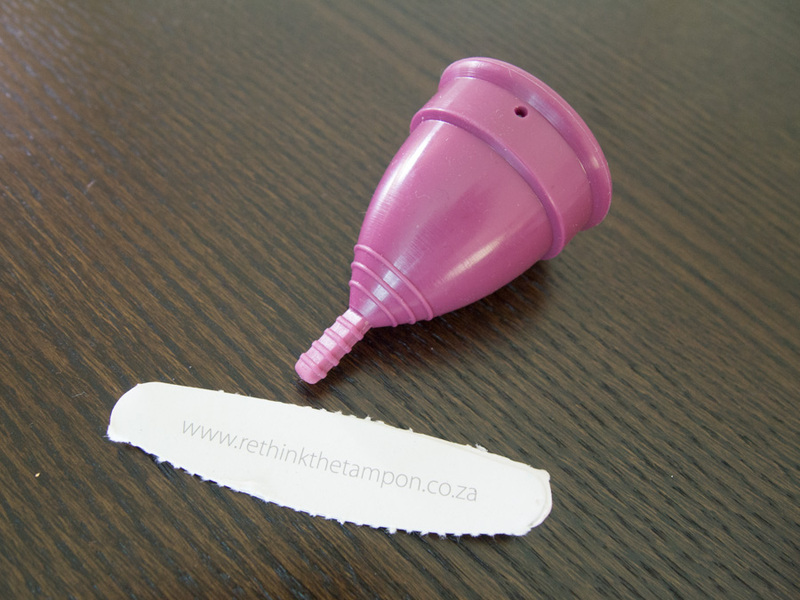 However the Diva Cup is smaller overall despite being in the same group (over 30 year old) due to its size it was easier for me to insert and remove. In saying that, I would still prefer the Mia Cup, but in a smaller size. Please note: The Mia Cup comes in two sizes. It’s important to make sure you have the correct size. I think though I fitted into the over 30’s category, I may have been better off with the smaller cup. Bloated stomachs, or stomach pains, headaches and feeling irritable can be tolerated in your normal surroundings but when mixed with unusual situations, strange people and weird demands it can cause havoc to anyones stress levels! Quite often, I’ve arrived at a hotel acting like a dragon lady all because of PMS. Over the years I have tried to recognize the symptoms easier and make adjustments in my travel life to compensate it. Here are my tips for you. I find that my tolerance is very low when not properly hydrated. It is really important to take the time to stop, take a break and have something to drink. Just make sure you are buying sealed bottle water when travelling in exotic countries. Something isn’t going to plan? Before lashing out at some unsuspecting local, take three deep breaths and just ask yourself is it really worth it? Most of the time, you will find yourself arguing over 20c. Who cares! It is ok to take a day off. Friends and family know that everyone needs a day off once in a while and do not expect you to be posting fantastic pictures everyday. They even might appreciate that your are honest with them that you are taking a Girly Day! I keep ibuprofen in my tank bag to combat my headache and stomach cramps. You will find ibuprofen at any pharmacy all over the world no matter how small the village is. Its hard to tear yourself away from the temptations of chocolate and salty chips. But these do not really help against your symptoms of PMS. Instead, drop by the local market and try some exotic fruit or pick up some nuts. These are easy to carry in your tank bag. Just remember, you’re on an adventure of a lifetime, do not let your period ruin your experience. You know your body better than anyone, therefore you can make up the rules just as long as you are enjoying yourself! Maybe you have a tip you would like to share? Either email me or drop me a message below in the comment area. Well done. Personally , tampons would be my preference but such a good plan to try other options. Like the other things you try out, it’s so interesting to read the results of your tests. This was perfectly candid. I loved it and have a much better idea about what I need for my moto adventure. Thank you!! Glad I could help Jamie!